Ndiswrapper is a wrapper that can be used to wrap windows drivers enabling them to use under Linux environment. This is available for drivers of wireless network devices. The supported devices can be found here. 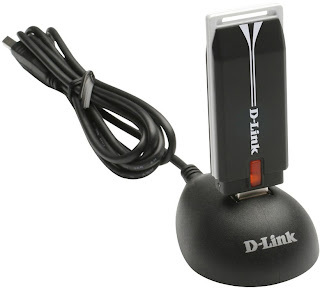 Here, I will tell you how to configure D-Link DWA-120 wireless USB adapter to work under Linux. I did this in Ubuntu 9.10. As I've seen this should work for D-Link DWA-110 adapter as well. Enter following commands in the terminal. -Change the folder to where the windows XP drivers for your network device is. Add the line "ndiswrapper" (without quotes) at the end of the file /etc/modules using command "sudo gedit /etc/modules" to load the driver every time the system loads. If you do not want to load the driver automatically, do not edit this file. Instead, enter following command at terminal to turn on the adapter. All done. You can check whether your device working by typing "iwconfig". This is how I enabled my wi-fi adapter to connect to wi-fi network. Does this helped you to as well? Any particular issues you encountered? Let us know in the comments.